MARK YOUR CALENDARS! 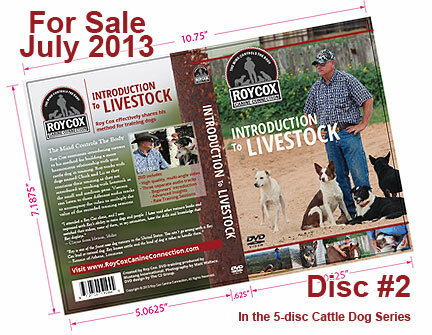 The SECOND DVD in the CATTLE DOG 5-disc series by Roy Cox entitled “INTRODUCTION TO LIVESTOCK” is scheduled for delivery on Friday June 28th!!! We will be adding this DVD to the website this weekend as long as everything checks out when we receive the shipment.